Shop for unique, regional gifts during the Pend Oreille Arts Council’s Arts and Crafts Fair – held every year in August on the City Beach lawn. This annual festival at Schweitzer Mountain Resort features outdoor concerts on the mountain, regional wines and beers, plus an array of fun family activities. Sandpoint’s historic performing arts center, The Panida Theater has a rich winter season filled with concerts, plays, fine art films and events. The Festival at Sandpoint offers star-studded musical performances under the stars during the first two weeks in August at Memorial Field. It’s a magical time of year, and a true feast for the senses! The Gold Hill Trail is one of the most popular for local hikers and mountain bikers, a 3.7-mile track that can be moderate or strenuous – depending on whether you hike or ride it up or down, or as most do, both ways. 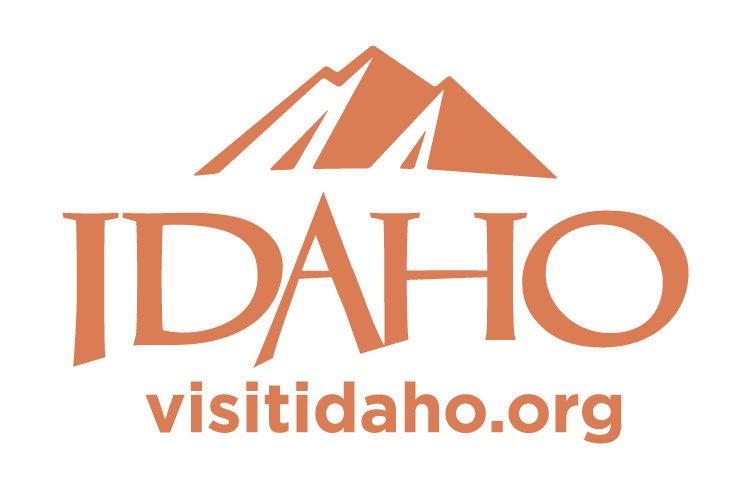 If you are ready to enjoy all the adventure and scenic outdoor recreation that the Sandpoint, Idaho area offers, this is one trail that you don’t want to miss hiking or biking on when you head out looking for things to do in Sandpoint. The trail leads through a forested setting to panoramic northwest-facing views of the Sandpoint across Lake Pend Oreille with the Selkirk Mountains behind. Most hikers start at the trailhead on Bottle Bay Road, about 8 miles south of Sandpoint; navigate to the trailhead parking by the Google map. Many bikers start at the trailhead for the uphill singletrack, but by adding in some miles on paved and gravel backroads you can make it a day and include the trail as an approximately 28-mile loop right from Sandpoint itself via the Long Bridge bike and pedestrian route. This is mountain hiking and biking at it’s best in the Pacific Northwest! Get the trail map and details for Forest Service Gold Hill Trail No. 3. Mineral Point Interpretive Trail contours along Lake Pend Oreille about 14 miles south of Sandpoint near Garfield Bay, with magnificent views across the lake to the Green Monarchs. This lower-elevation, 2.1-mile hike or single-track bike ride is accessible starting from mid- to late spring. Get map and details for Forest Service Mineral Point Trail No. 82. Looking for a fun and adventurous way to take in the fresh mountain air and beautiful views? Whether you’re a hiker or biker, Schweitzer Mountain Resort offers more than 20 miles of trails with amazing alpine scenery and see-forever views. 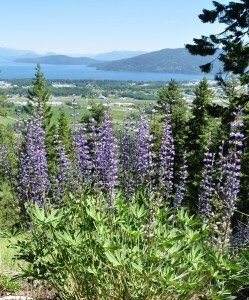 Start in the village and warm your legs up as you head out to Picnic Point – with only minor climbing – to take in the sweeping views of the mountains and Lake Pend Oreille. From there, your options are wide open. For those looking for a pure downhill biking thrills, Schweitzer has many intermediate to expert options with a chairlift assist to the top; all downhill trails begin at the top of the Great Escape Quad and descend 1700 feet to the Schweitzer Village. Pick up detailed trail maps in the village. Summer and fall are high seasons for hikers and campers in the high country of the Selkirk and Cabinet mountains surrounding Sandpoint, while lower-elevation destinations can be accessible almost year-round. There are more than 100 maintained trails and scores of backcountry campsites within a couple hours’ drive of Sandpoint, ranging from easy strolls to waterfalls and panoramas up to multiday backpacking trips through spectacular backcountry landscapes. And just about all of the trails offer the opportunity to spot rare wildlife. KeokeeBooks.com features several popular trail and recreational guidebooks available for purchase. Laughing Dog Brewing is a great place to try a refreshing line-up of great hometown flavors. At 805 Schweitzer Plaza Dr. in Ponderay, just off Highway 95. MickDuff’s Brewing Company is a small craft brewery and bustling, family-friendly restaurant located in downtown Sandpoint at 312 N. First Ave.
Cross-country skiing and showshoeing on groomed trails at Western Pleasure Guest Ranch. 208-263-9066. WesternPleasureRanch.com. Sandpoint Elks Golf Course is little more than a mile northeast of downtown Sandpoint off Highway 200, with a well-maintained 9-hole course, equipment and cart rental, friendly clubhouse and reasonable rates. Evans Landing Trail leads 2 miles down to a beach at the landing on the west side of Lake Pend Oreille. A multitude of switchbacks make for a gentle grade, beginning at the top of Kreiger Creek on Trail No. 64. The slope becomes extremely steep closer to the lake, however. The remains of an old cabin are tucked away behind some ponderosa pine trees, and nearby is a picnic table on the edge of the stony beach, plus a vault toilet. Access is 17 miles south of Sandpoint on U.S. Highway 95 via the southern end of Blacktail Road. Follow it east 2.6 miles to Little Blacktail Road, turn east again and go another 2.6 miles past one trail sign to East Ridge Road where a second trail sign indicates the way to the trailhead. Take a right on East Ridge Road, go a half mile and turn left onto a short spur road and the parking area. Maiden Creek Trail is a steep 2-mile trail that leads down Maiden Rock, a prominent geologic feature, and a Forest Service recreation site on Lake Pend Oreille. The trail to this magical spot on the lake’s western shore is fairly short, though quite steep as you get closer to the lake. It cuts through a dense forest in a deep notch between two mountains to where the waters of Maiden Creek first gurgle to the surface. It follows the creek steeply downhill to the lake. Access is 11 miles south of Sandpoint on U.S. Highway 95 via the north end of Blacktail Road. Go 1.5 miles to Butler Creek Road No. 230. Turn left and travel three miles to the trailhead. One of the closest and nicest hikes adjacent to Sandpoint, the Mickinnick is a challenging trail that rises more than 2,000 feet in its 3.5-mile length (meaning, a round-trip hike is 7 miles). But the workout is certainly worth it, affording splendid views as you climb up through big granite features amid open forests and spring-summer wildflowers. On warm summer days, the east-facing aspect of the trail makes it more user-friendly in the afternoon. The trail ends on a rocky knob commanding a view of Sandpoint, the Long Bridge, the Cabinet Mountains and Lake Pend Oreille. Use the Google map to navigate to the trailhead parking, at roughly 400 Woodland Drive, or click to the Forest Service map and elevation profile. For horse lovers, Schweitzer offers guided rides on the resort’s 20 miles of trails, through forested glens and along grassy slopes to with views over Lake Pend Oreille and surrounding mountains. Rides of various length and difficulty are offered. Enjoy horse riding in the warmer months, and horse-drawn sleigh rides in the winter at Western Pleasure Guest Ranch. 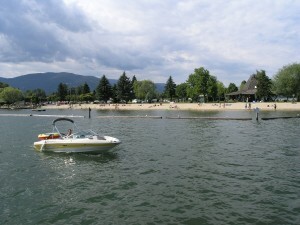 Action Water Sports offers lessons, lake tours and rentals in two convenient locations in Sandpoint and Hope, Idaho. Rentals include Ski and Pontoon Boats, Jet Skis, Stand Up Paddleboards and Kayaks. For the experienced paddler, the Clark Fork is one of many year-round waterways for those who want to meander through Idaho and Montana. There is whitewater, so faster water can present a challenge for novice paddler. For paddle-sport enthusiasts, both lake and river beckon. Whitewater season on local rivers begins in April as snowmelt swells streams, and generally lasts well into June. The best whitewater thrills are on the Moyie River, 40 miles north of Sandpoint, with a nine-mile run that includes numerous Class III and a pair of Class IV at higher water. A bit easier for beginners is the Priest River, 30 miles west of Sandpoint, where there is a good eight-mile Class II-III stretch. Peaceful, meandering Sand Creek couldn’t be more convenient or perfect for kayaking, canoeing or SUB’s. Conveniently located in downtown Sandpoint, City Beach is a perfect place to launch and paddle thru the marina and along the banks of town. A Day on the Lake Rentals offers full-service rentals of ski boats, pontoons, SeaDoos, and vacation homes on Lake Pend Oreille. 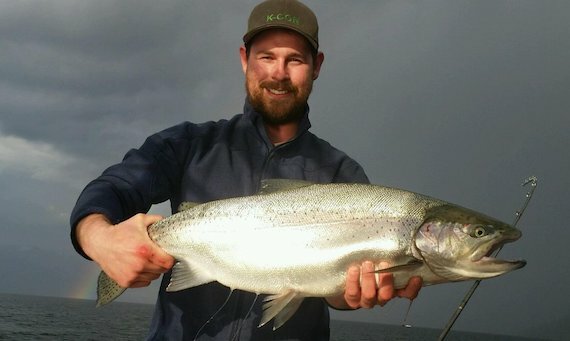 Make your vacation memorable by touring the lake by boat. Delivery available. 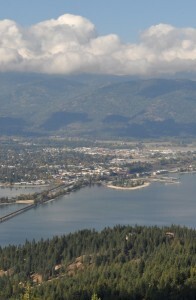 877-890-2444 or 208-755-4958; ADayontheLake.com. Bottle Bay Resort and Marina includes Bottle Bay Bar & Grill, cabin rentals with private beach area, marina with public gas, boat launch and boat rentals, all located on beautiful and peaceful Bottle Bay. May we say, modestly, that Sandpoint’s City Beach is simply one of the finest city parks anywhere? With magnificent views down Lake Pend Oreille, enjoy swimming and beach lounging. Play volleyball on one of the three sand courts, tennis on the pair of recently upgraded courts; pickup basketball, kids’ playground, or launch your boat at the public ramp. An easy stroll away from downtown, off Bridge Street. Lake Pend Oreille Cruises offers a variety of public tours including history, eagle watching, and dinner cruises as well as private charters. Please call 208-255-5253 for information and reservations. The Bonner County Historical Museum, 611 Ella at Lakeview Park, has numerous displays including Native American artifacts, an extensive collection of Ross Hall photos, a pioneer kitchen and more. Open 10 a.m. to 4 p.m. Tuesday through Friday, and from 10 a.m. to 2 p.m. the first Saturday of the month (first Saturday free admission day). Schweitzer Mountain Resort, 11 miles from Sandpoint, runs chairlift rides during summer, offering easy access to the resort’s peaks for hikers and mountain bikers and magnificent views of Lake Pend Oreille and surrounding mountains. There are also a host of other activities for young and old alike, including a bungee trampoline, climbing wall and much more. There’s usually a narrow window, but when conditions allow, ice skaters flock to the Third Avenue Pier for excellent skating on Lake Pend Oreille; you may also be able to get into a pick-up hockey game. Also, Sand Creek below the Cedar Street Bridge downtown can provide a charming venue for ice skating. The city also frequently clears an ice skating area at City Beach near the mouth of Sand Creek. Bonner Mall, two miles north of Sandpoint off Highway 95, features a full-service supermarket, four-plex movie theater, several nationally known retailers, more shops and a restaurant. The Sandpoint Shopping District exists to support & promote, through cooperative marketing efforts, a unique shopping experience which reflects the individual visions and passions of proud local owner-merchants. The district works cooperatively to provide locals and visitors alike with a unique & vibrant shopping environment in downtown Sandpoint. 11 miles from Sandpoint, is a world-class ski and snowboard resort, and boasts two magnificent natural bowls encompassing 2,900 skiable acres, 2,400 feet of vertical drop, with 92 runs and trails served by two high-speed quads, a high-speed six-pack, one triple chairlift and three double chairlifts. For those with their own ‘cats, the Sandpoint Winter Riders Snowmobile Club recommends checking out Roman Nose peak, the Sundance Fire area near Bonners Ferry, Drew Creek Loop, Pearson Creek, Upper Pack River and Trestle Creek. Pend d’Oreille Winery offers tours and tastings of its award-winning wines at 220 Cedar St. downtown.